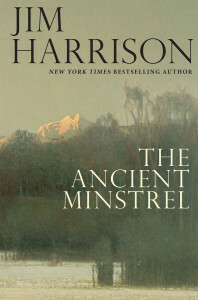 Jim Harrison’s The Ancient Minstrel is a chaser to life’s intoxicated stumble. 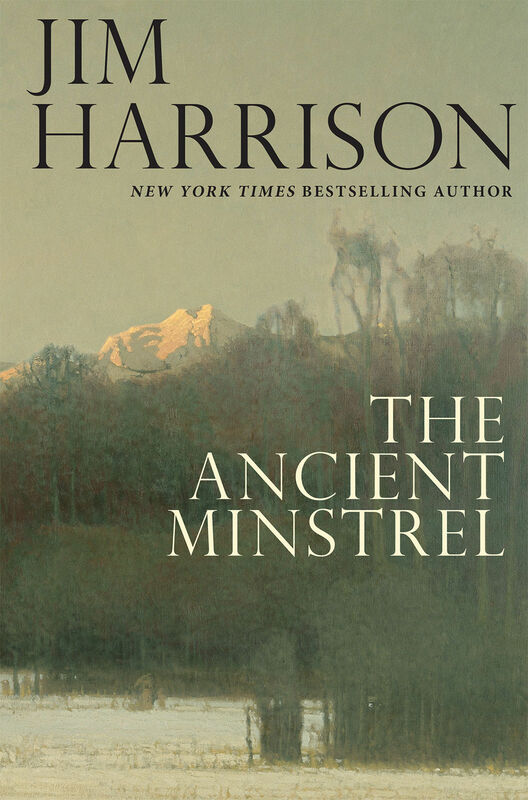 Despite almost being able to smell the alcohol vapors from Harrison’s pages, his prose acts as a neutralizer: in a time of wars, infidelity, aging and mortality, there’s a beautiful sort of embrasure out there in the natural world, a nullifying, ancient ecosystem. Harrison burdens his characters with human squalor, from loneliness to lasciviousness, and in two slow-burning novellas resolves them to a point of unsuspecting understanding. He would act in the manner of Leo Tolstoy who, when Rilke told him he must write, said, “Then write for God’s sake.” Even nastier was Faulkner who in answer to the questions of what a writer needs said, “Paper and pencil.” In other words, figure it out for yourself, there are no shortcuts. You have to give your entire life to it. Where’s the narrative? What’s the story about? You promised when you sold the novel in advance that it would be a big sprawling story about love, lust, quarrels, and murder between three farm families, sort of a magnum version of A Thousand Acres. Near the pond she sat on a big rock with a peculiar resemblance to a monster stone egg. It had been Catherine’s “magic” place since early childhood. When she frequently visited the farm with her mother she’d walk out to her stone egg when she was disturbed by anything and the stillness of the scene pacified her. How can you draw pure energy from a stone? It was possible for her. Following these two exceptional, disarmingly subtle stories, Harrison superfluously tacks on “The Case of the Howling Buddhas” to the end of the collection. The novella “The Ancient Minstrel” stepped awkwardly close at times to the musings of a dirty old man, but in “The Case of the Howling Buddhas” Harrison fully embraces this aged id. It’s little more than an indulgent story about an old writer who develops a sexual affair with an underage neighborhood teenager, and probably should have been left out of the collection. Without it, The Ancient Minstrel would have been excellent, a finely-tuned pairing of two novellas in counterpoint.